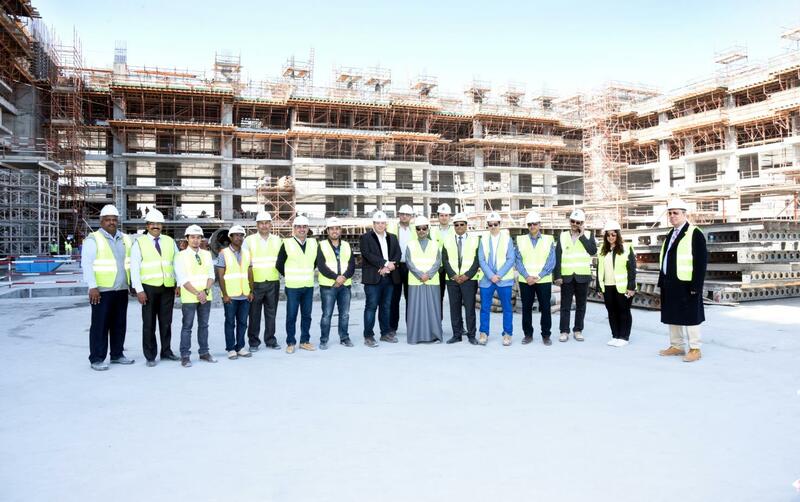 Marassi Al Bahrain’s second residential complex, the exclusive Marassi Shores Residences, is progressing ahead of theplanned construction schedule with completion expected earlier than July 2019. The 36,079-square-metre development boastspanoramicsea views and lush green vistas, elegantly designed apartments, and direct access to the project’s two-kilometre beachfront promenade. Main construction work on the distinctive U-shaped property kicked off last August 2017 and the project is due for completion during the third quarter of 2019. Eagle Hills Diyar, the private real-estate investment and development company behind the iconic Marassi Al Bahrain project awarded the main works contract to Dadabhai Construction last July 2017, with expected delivery stipulated within 24 months. “Marassi Shores Residences garnered tremendous interest even before it was officially launched onto the market, resulting in encouraging sales. The fast-paced progress on site gives investors that extra layer of confidence and will definitely act as a magnet for potential buyers. We are determined to work closely with Dadabhai Construction to beat our construction targets and deliver this much-anticipated project before July next year. The subsequent phase will include the first mock-up, which will be ready by March this year, and the opening of our retail offerings by September,” added Dr. Al Shaer. The 11-storey Marassi Shores Residences features an exclusive collection of 289 beachfront studios and one, two and three-bedroom apartments, as well as penthouses. All feature high quality finishes, floor-to-ceiling windows allowing for ample natural light, and large balconies and terraces offering spectacular views of the sea and surrounding parks. Marassi Al Bahrain, the iconic master-planned urban development, rests on the eastern coast of Diyar Al Muharraq and occupies 875,000 square metres of waterfront residential, hospitality, retail and entertainment space. Upon completion, Marassi Al Bahrain will be home to 22,000 people and feature 5,600 residences, as well as a total retail space of 250,000 square metres. Investors can register their interest online at www.eaglehills.comor visit the Marassi Al Bahrain Sales Centre located on-site at Diyar Al Muharraq. For more information and further assistance, please contact +973 7789 0020 from Saturdays to Thursdays, 9am-6pm.